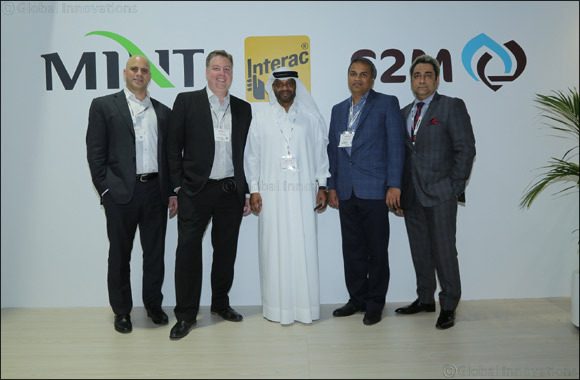 Dubai, UAE (April 15, 2018): Mint Middle East (MME) on Sunday signed licensing agreements with Interac Corp. (Interac), Canada's domestic debit network, granting MME exclusive rights in the United Arab Emirates (UAE). The licensing agreements will help MME to deliver a secure and cost-effective contactless point-of-sale solution in the UAE for domestic debit transactions, as well as provide documentation and software that will position MME to offer a broad range of mobile payment solutions. “We are pleased to be in with such a good and well-reputed company and are excited to enrich our value proposition with contactless and mobile debit capabilities in this region as a part of our continuous efforts of delivering tailor-made enterprise and retail payment solutions,” added Ali Faizan Rizvi, CCO, Mint Middle East. In addition to offering consulting on a global basis, part of Interac's international strategy is to help enable domestic networks and close-loop networks outside of Canada remain agile, competitive and innovative through the licensing of documentation, specifications and software. Licensees can expect to quickly and cost-effectively leverage solutions that can be customised and implemented to deliver products based on those offered by the Interac network in Canada, including contactless, mobile, and P2P solutions. During the Seamless Middle East, Mint has also announced launching of Omla Gift Card under both Unionpay and Mastercard payment schemes, these cards are unique gifts for loved ones on different occasions like birthdays, weddings and anniversaries and also to professionals and staff as a token of appreciation. Very Soon Mint will launch Omla general Purpose dual scheme prepaid card offering the flavour and benefits of both domestic and international scheme to enable customers to make all kinds of payments for retail merchants in the malls or groceries and including government, utilities and other services at much reduced fee in the domestic arena. Mint will also add to its payment solution, a fully unified omni-channel with instore and ecommerce solution for all under banked and high-end retailers to give a unique experience in store, online and mobile for both merchants and consumers. The infrastructure is built on a cloud base to expand its services to the global market. Mint strategy is to harness technology and timely feedback in devising unparalleled products and services for our customers. Innovation and easy to use payment solutions that generate efficiency, opportunity and growth, is the top priority of Mint while offering or launching any product for the consumers.